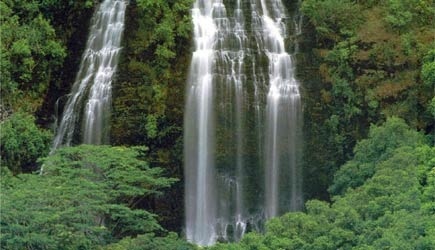 Kauai Day Trips from Oahu includes a full-day tour of the beautiful garden isle. 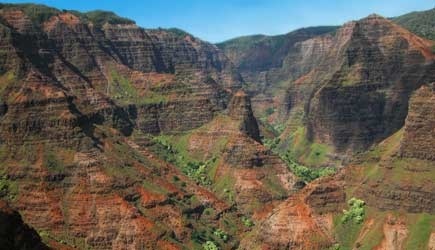 This tour includes spectacular Waimea Canyon, a cruise up the Wailua River to the Fern Grotto, numerous waterfalls, and the “Spouting Horn”, Hawaii’s largest and loudest blowhole. This is a great way to get out and enjoy the REAL Hawaii. 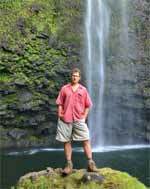 Tour includes: Complimentary hotel pick up from/to Waikiki hotels, round-trip airfare, and guided tour of Kauai. Reservation: Payment required for this tour at the time the reservation is made. What to Bring & Wear: Please bring your photo IDs for flights. Wear comfortable shoes and dress appropriately. Note: Lunch will be available for purchase. Airfare Cost: This tour includes airfare and rate quoted is the advanced booking price valid on most dates. Last minute bookings and holiday dates may have more expensive airfare. If there is a premium cost for airfare on your date we will contact you prior to charging your credit card. For the ultimate in personal freedom and flexibility in your day, perhaps a fly-drive package is right for you. This includes round-trip airfare to Kauai and a rental car for the day. Once you get there, you are free to drive around and explore the island on your own. This package does not include transportation between Waikiki and the airport. The driver of the rental car must be 25 years of age with a major credit card in his/her name. Time: Typical itinerary is around 5:30am departure and around 7:30pm return on the same day. If you have other flight requests, please contact us at 1.877.678.7333. Restrictions: The driver of the rental car must be 25 years of age with a major credit card in his/her name. Note: All fly-drive packages are priced based upon double occupancy … the per person cost will be $20 higher for those traveling alone. 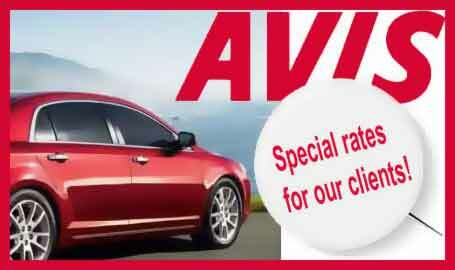 Rate is $50 higher from 12/15 to 1/4 due to holiday rates on rental cars. Rate can also be higher if ordered last-minute. Fly-drive reservations must be charged at the time of reservation and are non-refundable. For many visitors Oahu is the first island that you arrive in Hawaii. While there are many tours and activities that you can enjoy in paradise, your vacation shouldn’t end there! We encourage people to fly to neighbor islands to experience true Hawaii if your time and budget allow you. Inter island flights are short between 25 and 50 minutes depends on where you are flying from and to which island. You will be surprised to feel different characters and energy from each islands.